Are we seeking fame or connection? From my end people write to me all the time about becoming famous by a song or from one project, I think they mistakenly view achievement in their industry like an over night possibility when typically it’s a result years of hardwork that consistently build up their following over time. People who have achieved great things have done it through seeking to perfect their craft not by focusing on how one achievement is a boat they can jump on for an easy ride to the top. Join in on the conversation, Leave me a comment below…. Jacqueline Jax · So true. From my end people write to me all the time about becoming famous by a song, I think they mistakenly view achievement in the industry like an over night possibility when typically it’s a result years of hardwork that consistently build up their following over time. Don Crown · 1:46 Good night dear friend Jacquline. Great show as always. Jacqueline Jax · Thank you Curt Solomon. First bad cold in a while. Still trying to get on top of it. Steve Roberts · 0:00 Hello pretty lady!!!! Jacqueline Jax · Hello Steve. What’s up? Jacqueline Jax · Thank you. So good to hear. Jacqueline Jax · Good Diane glad you enjoyed it. Jacqueline Jax · Hello Jerry from Houston. I’ve visited Dallas. Fun place. Sam Hankins · 9:27 Hi Jax, I do agree with you about connection. Hope we can chat more on your radio show. My name is Sam I am from Chicago I am an indie artist trumpet player and composer. Connect with us to submit your music for the show. Jacqueline Jax · True. I’ve noticed that they way social media works is that people won’t see your posts at all unless you stay connected to them so it makes more sense to learn about each person as they come on board and grow slowly or you aren’t truest accomplishing anything. After all what good is having these pages if you don’t care about who visits them. Lindsay Point · 4:21 Connection from the words of music, a message in the bottle? Jacqueline Jax · Thank you. That’s such a nice compliment. Jacqueline Jax · I’m awesome thanks. Coming back tomorrow for more live streams. Dave Conners · 0:31 Seeking a hot blonde! Heather Burger · 0:00 Hi beautiful. Nice to see you here. Jacqueline Jax · Hey great to see you 2. what’s up? Jacqueline Jax · Hey D.. It’s so much more fun having fun with people and enjoying this time we all have. Don Crown · 0:00 Good morning. Jacqueline Jax · Totally. lol. Jacqueline Jax · Hey BUDDDDD. WHat’s up bro? Jacqueline Jax · Hey there. What’s shaken? Jacqueline Jax · Thank you. How’s Tuesday treating you so far? Simon S S Powell · 9:58 Mine is to share, learn, communicate and develop. You say fame…. To me dame us to affect one person or more with our creations, to entertain and have our followers come back for more and want to come enjoy our live show. Adriana Fisher · 0:21 Very good question. i sent you a few emails did you get them? just curious!!! Have not opened all email yet. There are several hundred so it takes a while. If you need to book a show, you would go through the office. 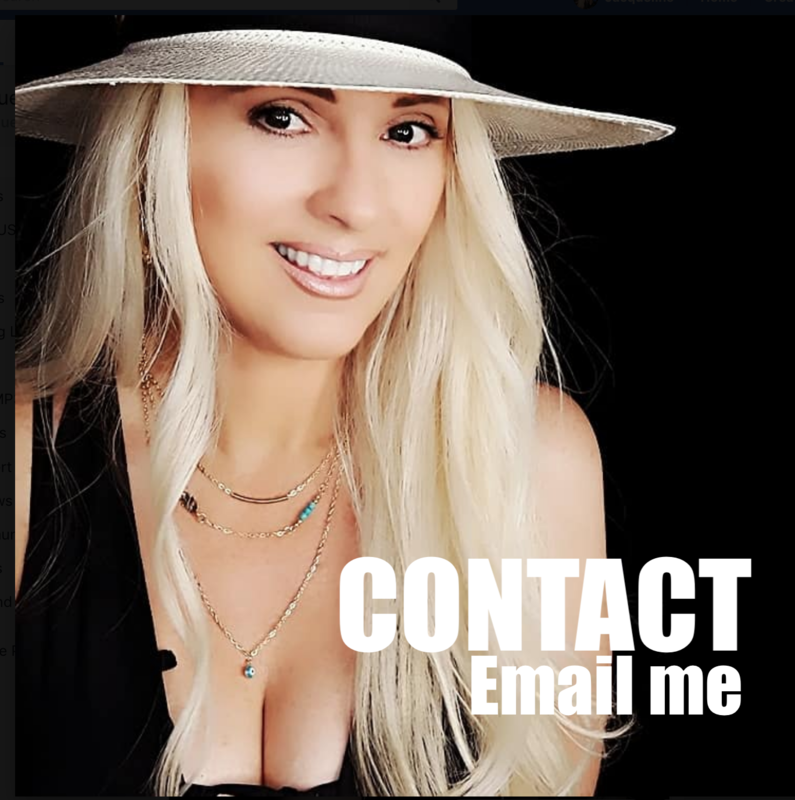 If it was a question about music marketing I have resources on http://www.jacquelinejax.tv and I also eventually use the questions on email to decide on topics for live streams. you were amazing as always!!! with love. Thank you. Planning on live streaming again today on Facebook. Hope to see you around.